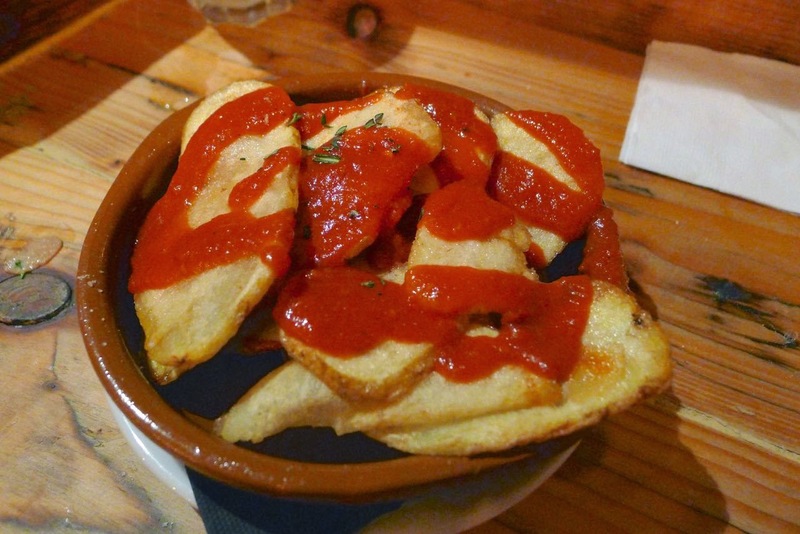 Something I enjoy about blogging is discovering and sharing “hidden gems”. When I first went to the likes of Yuzu, Siam Smiles and Parkers Arms seemingly very few people had heard of them. There is no doubt posts on blogs such as mine helped to build their local reputations, which in turn has led to national food critics showing an interest and loving them (this also owes a certain amount of thanks to the Oyez, Oyez, Oyezing of Manchester’s premier food and beverage crier Thom Hetherington). Levanter is one of those small places hidden up a side street that I wish I could lay claim to “discovering’ but uncharacteristically, I am late to this particular “fiesta”. Bacon on the Beech was the first to blog the place (see here) and take his usual excellent pictures but many have been fans of Levanter from their days selling Spanish produce at markets. Levanter have a no booking policy so I kept my fingers crossed for a table as I drove up from Cheshire… I was lucky enough to find a parking spot outside but the place looked heaving. What quickly became clear is that Levanter do not seem to have much need for bloggers to help spread the word. Managing to squeeze inside, there were already people waiting in the small bar area for tables to come available. To my delight, as I was alone, I was offered a vacant spot by the window. The atmosphere was great and the locals obviously love Levanter. Throughout the evening there was a constant stream of people arriving… some were prepared to wait; others went off into the night and missed out on the delights. 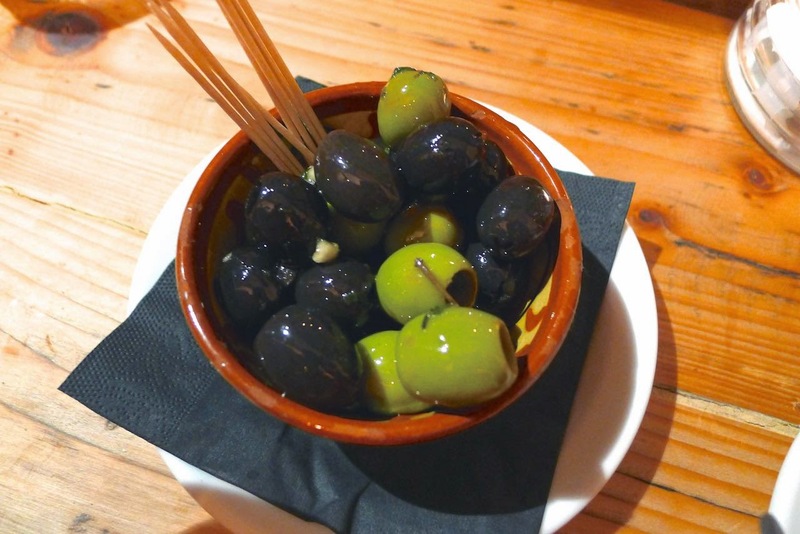 Pitted & marinated olives - the garlic filled green olives were great but the black olives were disappointingly bland. 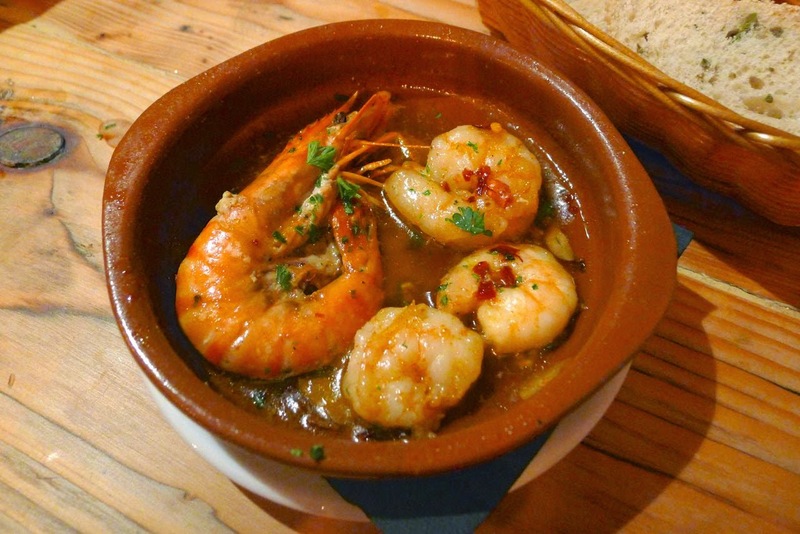 Gambas Pil Pil - king prawns with chilli served with fresh bread to mop up the sizzling hot oil. 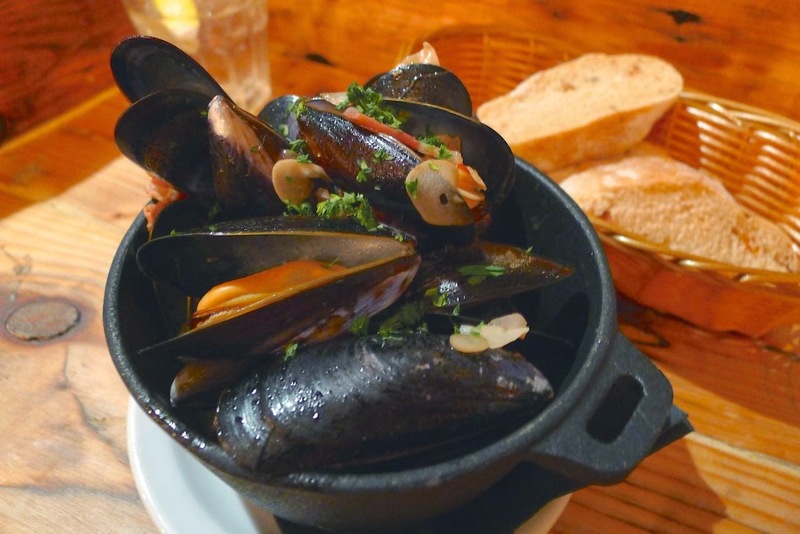 Mussels & Serrano in Fino Sherry - good plump mussels in a heady garlic, ham and sherry broth. 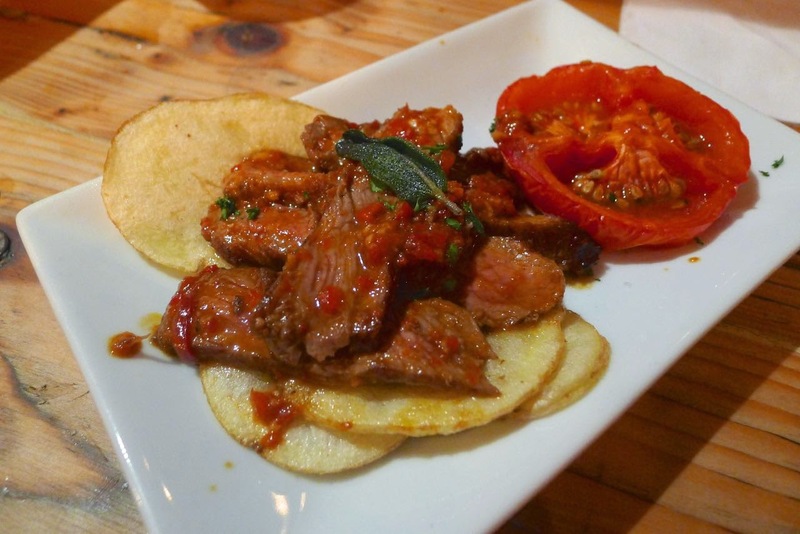 Presa Ibérica - tender Ibérica pork steak with a tomato salsa, sliced potatoes and crispy sage. 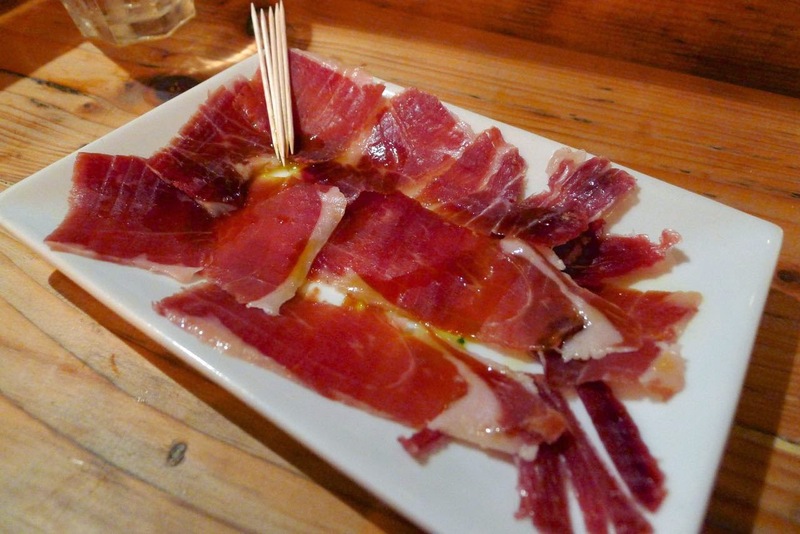 3 year mature Jamón Ibérico - good quality ham is hard to beat. 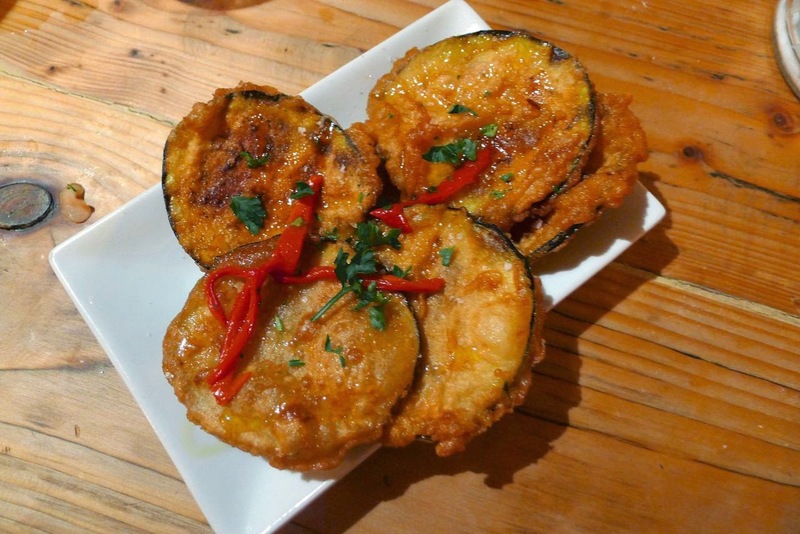 Aubergines in saffron butter - ‘berenjenas con miel’ or aubergines with honey is one of my favourite dishes when visiting my parents in Spain. Seeing this dish on the menu is one of the main reasons I finally made the trip and they did not disappoint. 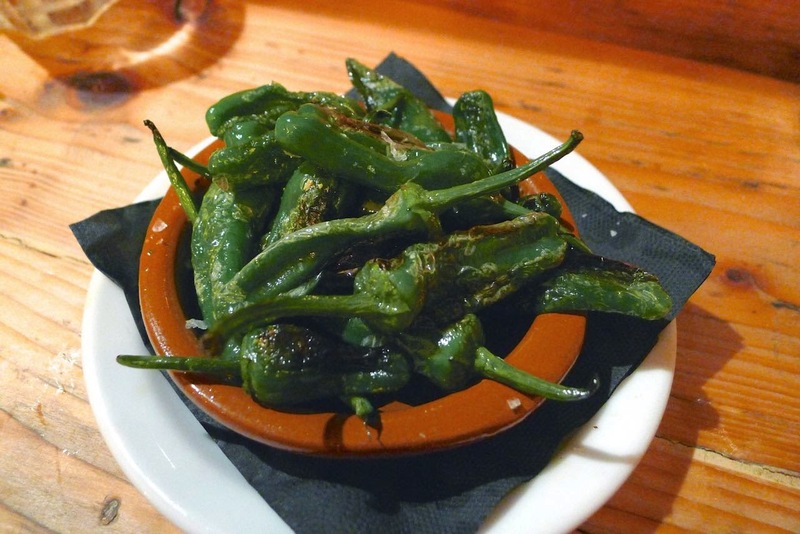 These were fried in a saffron and beer batter with spanish blossom honey. A super dish! If you ask any Manchester based food blogger for the best Indian restaurant on the famous Curry Mile and they’ll most likely reply, “Mughli”. This wasn’t always the case. 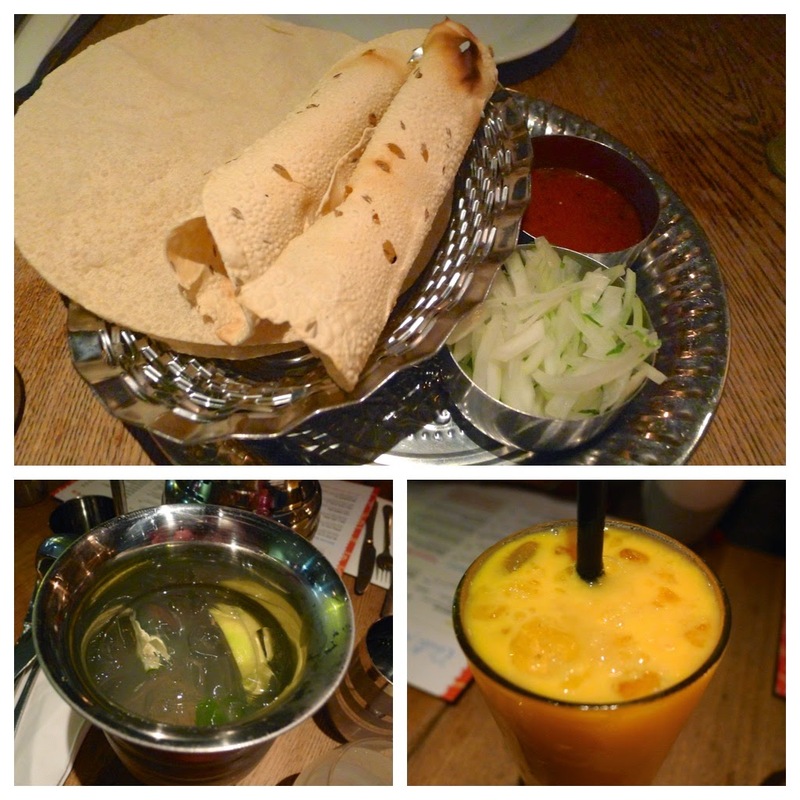 In recent years, Mughli has been handed down from father to sons and with their modern ‘British Indian’ approach, “foodie” focus and canny business brains, the Arshad lads have left the local competition in their wake. 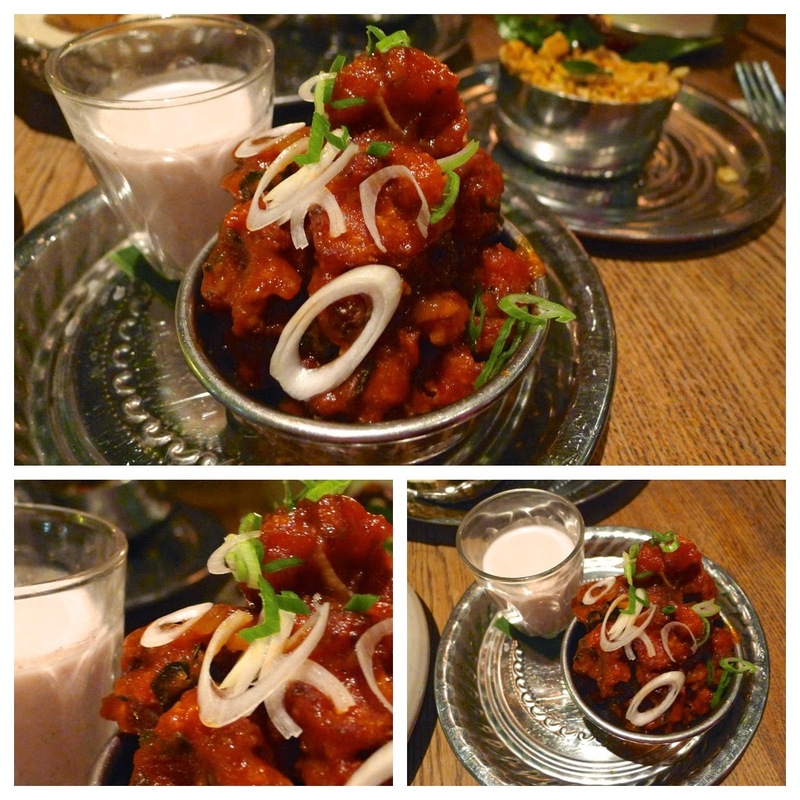 Brighton’s Chilli Pickle reminded me of Mughli. 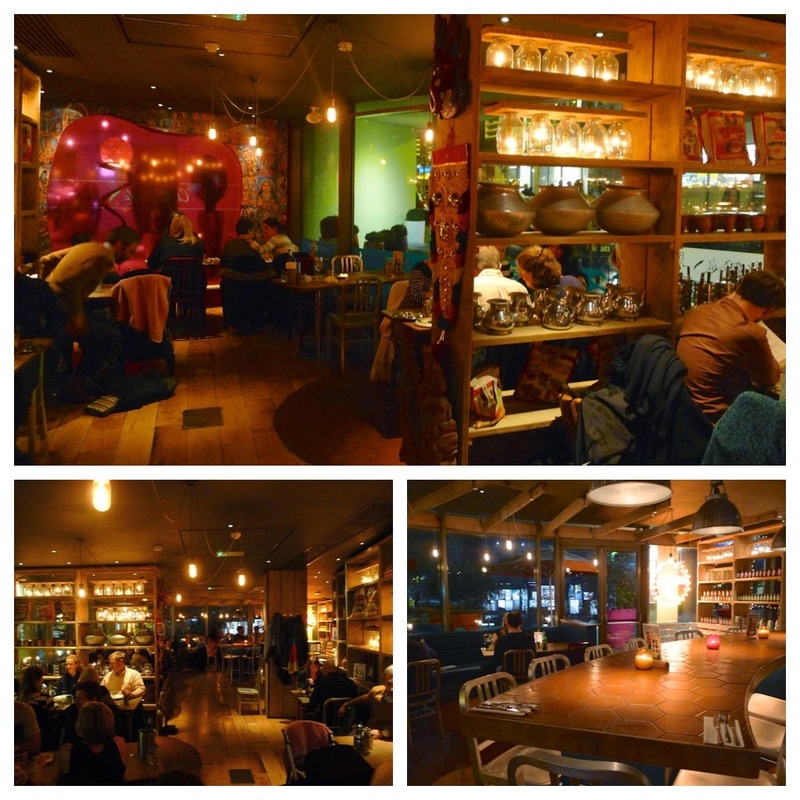 Owned by English couple, Dawn and Alun Sperring (a chef who spent many years working overseas), the vibe is a world away from the hackneyed Indian restaurants, with their identikit stuck in the 70’s menus, which remain all too common. It’s great to see that (albeit very slowly) more and more Indian restaurant owners are starting to realise that times and attitudes have changed since the 70’s. 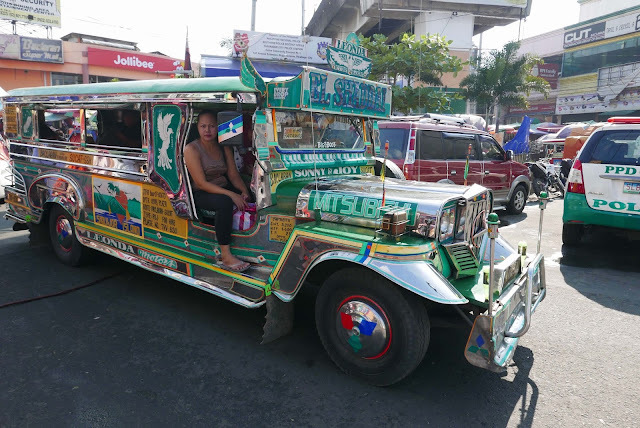 Thanks to ‘gap years’ and alike, many customers are now well travelled. Many will have grown up with Asian friends and may have sampled their home cooking. As a result, I believe expectations in terms of quality and willingness to try something a little different from the ‘norm’ are higher. The team of specialist chefs that Alun has working alongside him reflect their regional backgrounds and specialities. The menu is refreshingly short and simple - there are a few familiar sounding dishes such as ‘Moti Mohal Butter Chicken’ but how many Indian restaurants that you know serve ‘Oxtail Madras’ ‘Chennai Skate Wings’ of the great sounding veggie dish ‘Tamil Kidney Bean & Veg Kuzhumbu’? Lazily, I’m not going to write at length about each dish. 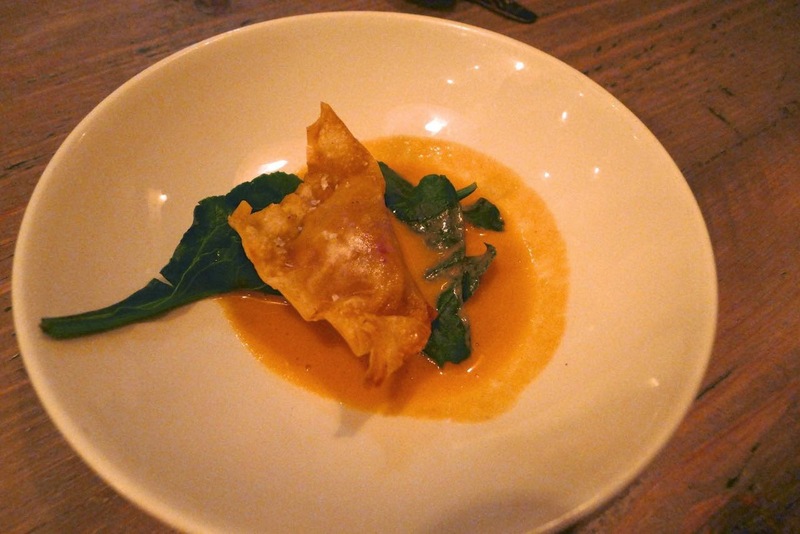 All dishes were presented beautifully with quality ingredients used throughout. As a general note I’d say the spice levels were fairly low, even on the ‘3 chilli’ rated Oxtail Madras. The fact that the Oxtail Madras didn't deliver the expected kick really didn't matter, it was still a fabulous dish with layers of flavour and stunning slow cooked meat. The ‘Vegetable & Banana Avial’ and ‘Gobi Manchurian’ were our other favourites. Our only quibbles were with the pappy texture of the dosa and the dry paratha. 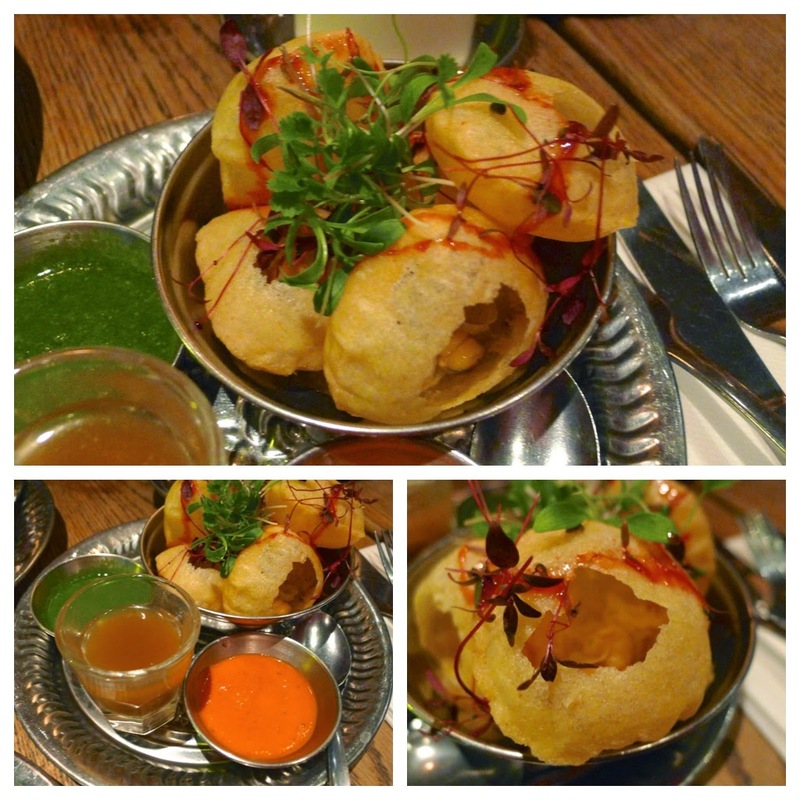 Gol Gappa – fill your own crispy puri shells with chickpea salad, tamarind pepper water, red pepper & herb apple chutneys. 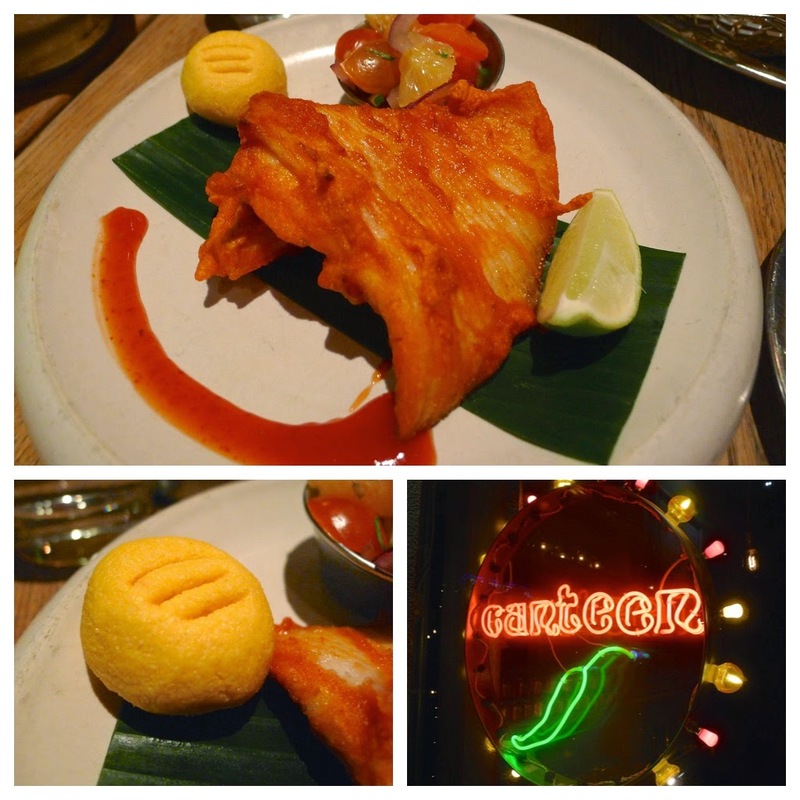 Chennai Skate Fry – local skate coated in ginger, chilli & rice flour fried & served with orange & grapefruit cachumber and coconut mango chutney. 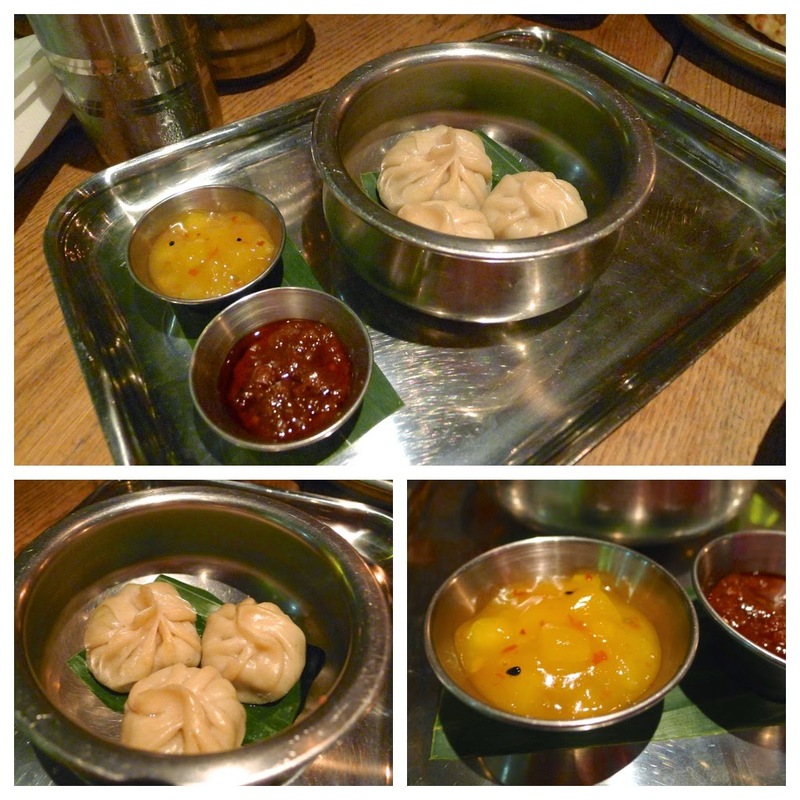 Pork & Jimbu Momos – steamed Nepalese dumplings with minced pork, jimbu mountain herb, ginger, green chilli served with red chilli sambhal & sweet apple pickle. Gobi Manchurian – fried cauliflower florets in a ginger, chilli and rice flour batter with sweet & sour sauce & served with plum & ginger chutney. 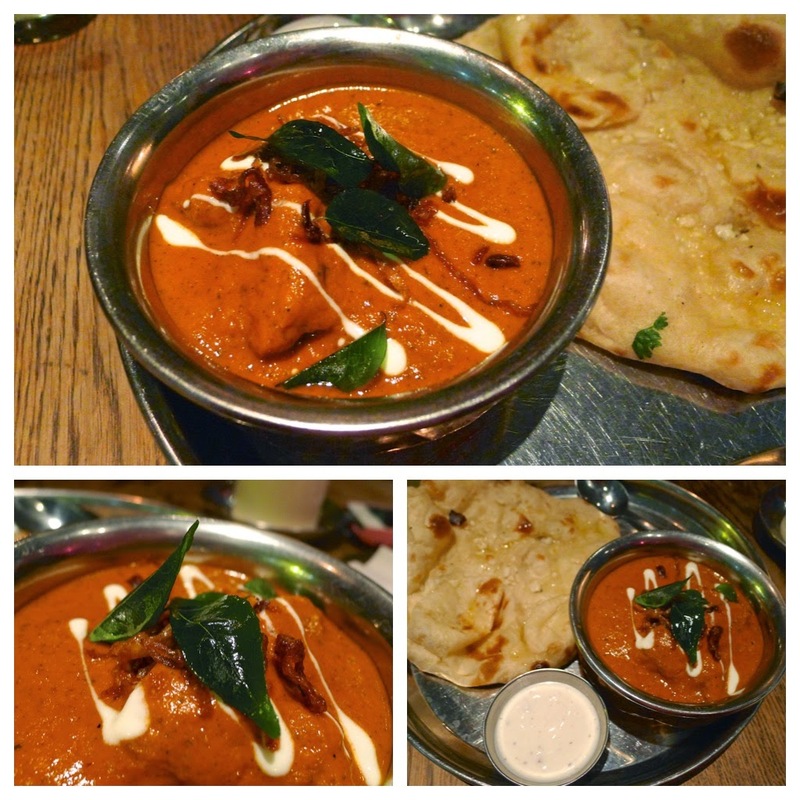 Moti Mohal Butter Chicken – tomato, butter dried fenugreek, red chilli with riatta & garlic butter naan. 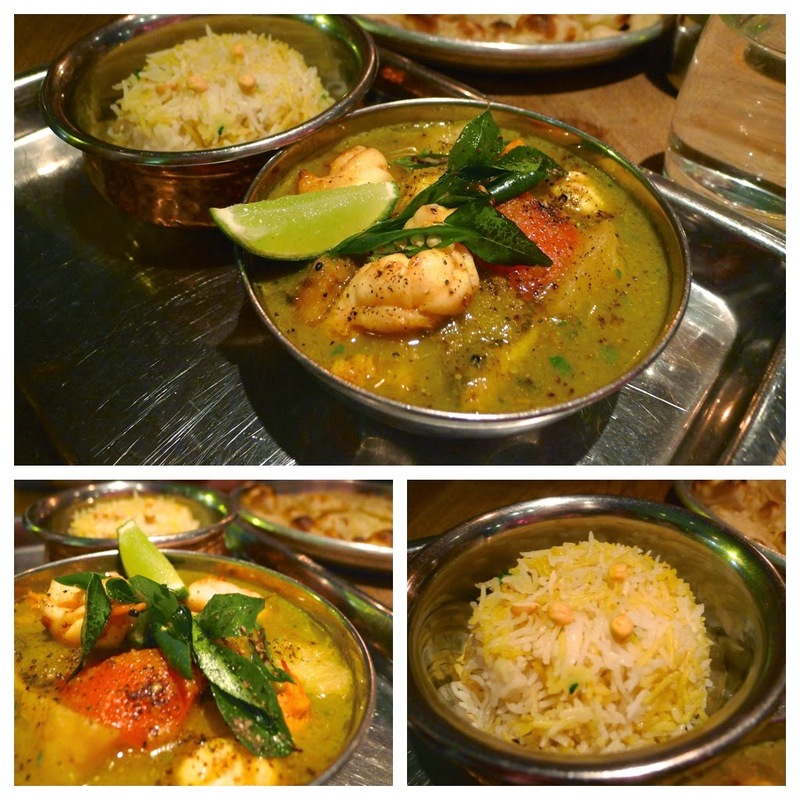 Seabass & King Prawn Macher Johl – Bengali fish curry with fresh seabass fillet, king prawns, mustard oil, panch phoran spice, potato, aubergine & fresh tomatoes with steamed rice. 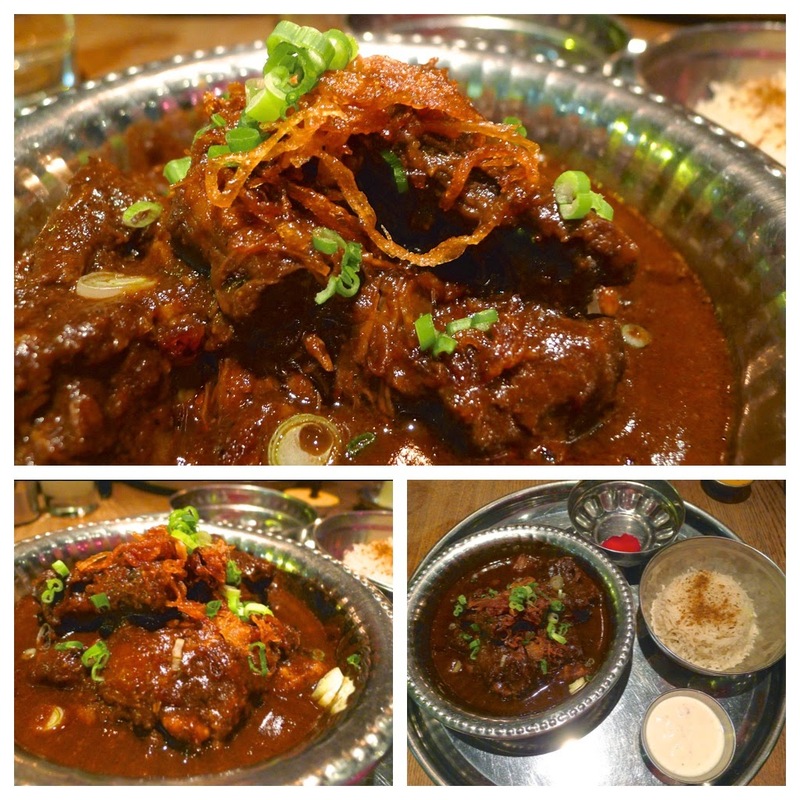 Oxtail Madras – Sussex oxtail pieces slowly simmered in a medium spiced gravy with roasted garam masala, coconut & date molasses. Served with cumin pilau rice & riatta. 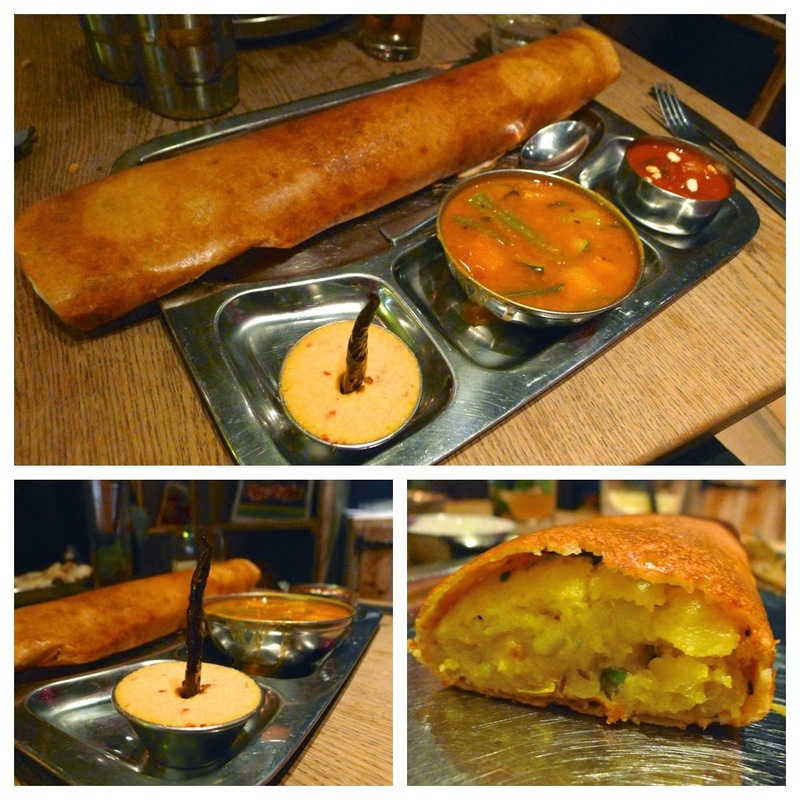 Mysore Masala Dosa – crisp south Indian rice pancake filled with spiced potato, curry leaf & ginger served with sambar & kuzhumbu curries & red coconut sambhal. 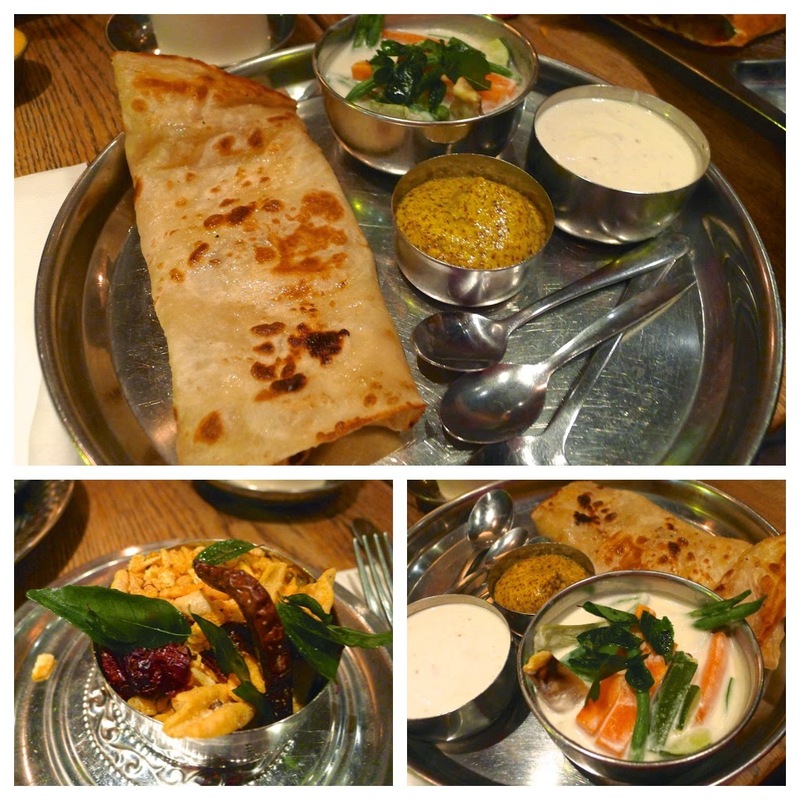 A few of the sides: Kasuni Mustard / Tawa Paratha / Kenya Mix / Vegetable & Banana Avial – a fan of fruity dishes, my wife had the Vegetable & Banana Avial as her main; I had a taste and loved it too. 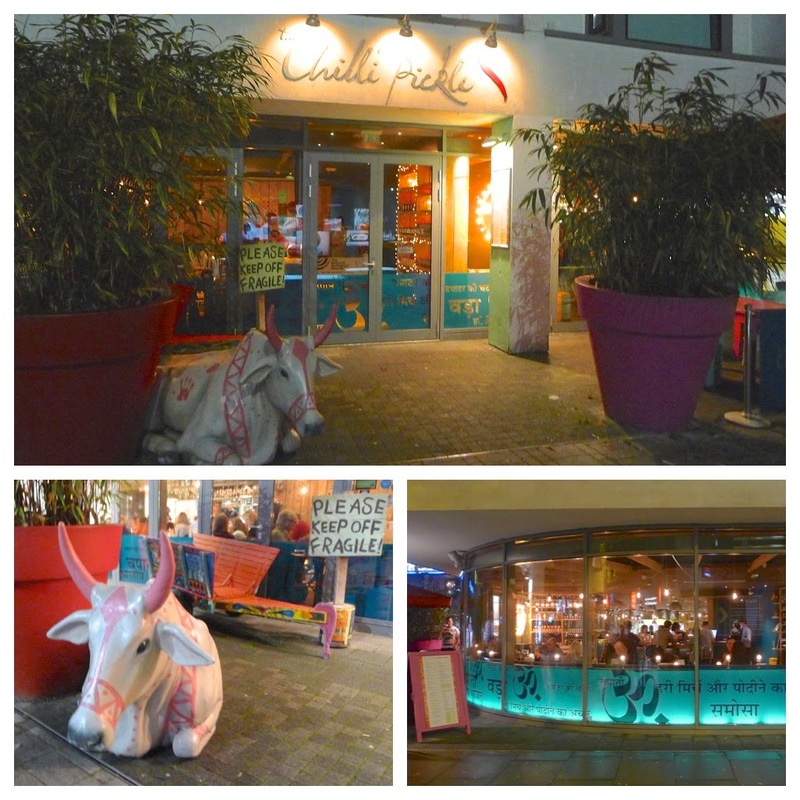 With my stepdaughters having moved to Brighton, we are sure to visit Chilli Pickle again. Especially as it is connected to MyHotel where we stayed and will most likely stay again. Hopefully, like Mughli and Chilli Pickle more and more Indian restaurants will start to realise that times and attitudes have changed and their menus will reflect this. Funny one this. 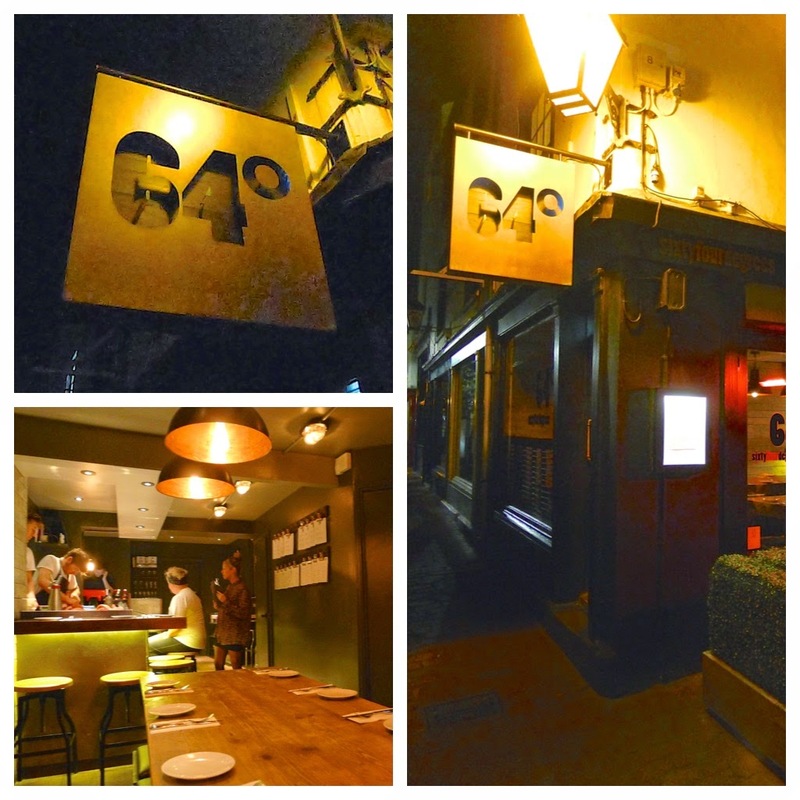 64° in Brighton (they also have a place in London) has been getting rave reviews; Marina O’Loughlin enjoyed (gave the food 8/10 - here) and Michelin deemed it worthy of a Bib Gourmand Award. Also, my dining companions (wife, stepdaugher and her partner) loved the meal and experience… but I didn’t. Perhaps I expected too much? I’ve said many times on blog posts how expectation plays an important part of enjoyment of a meal. 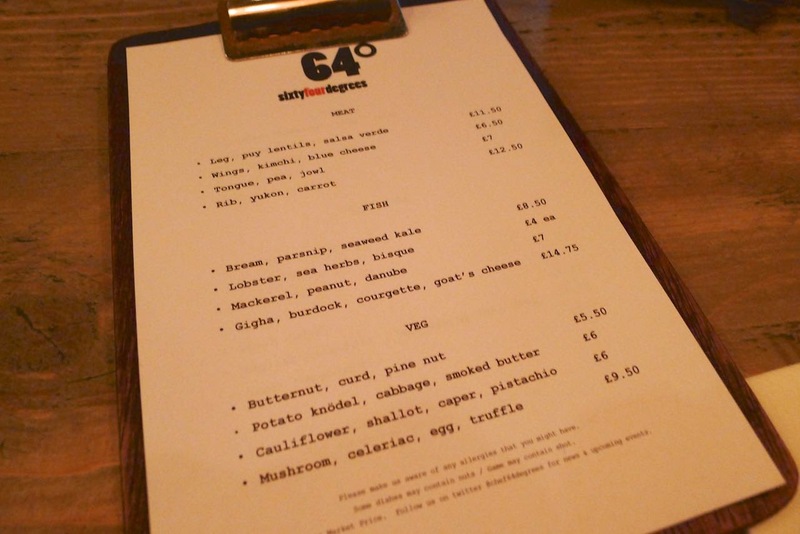 The menu at 64° certainly reads as all I want from a restaurant - simple and seasonal with enough to pique the interest of, without pandering to, your highfalutin’ foodies. 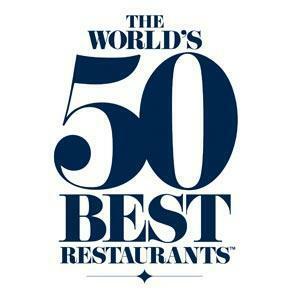 Some of the dishes were hits but for me, there were too many misses. Sadly we were not sat at the counter but our window location did enable us to look out onto Brighton’s famous Lanes. The atmosphere in the small restaurant was lovely but our dimly lit table was not ideal for taking quality pictures. Service was good. 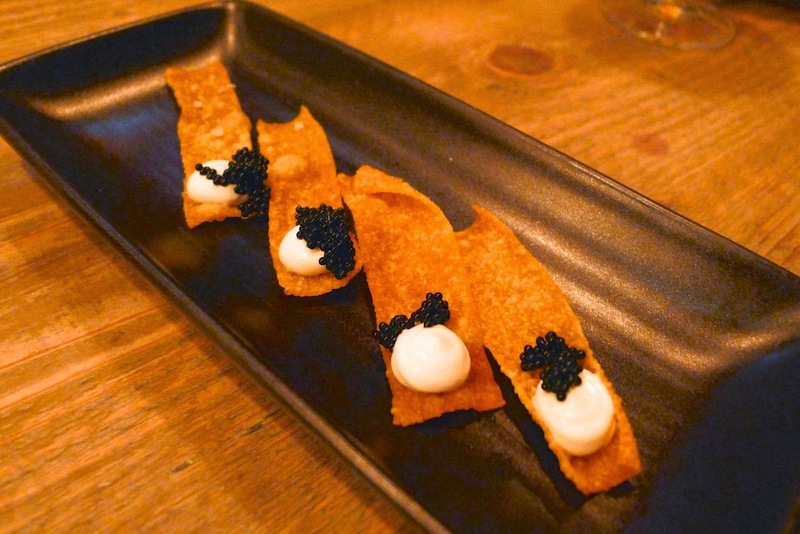 Lobster roe, wonton crisp, yoghurt – lovely snack to start the meal. 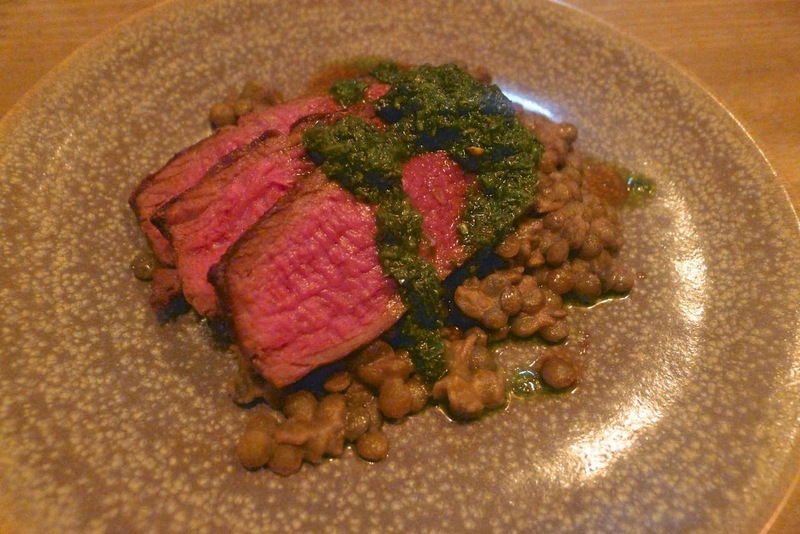 Leg, puy lentils, salsa verde – the leg of venison was beautifully cooked and simply paired with firm lentils and full flavoured salsa verde. The best dish according to me. 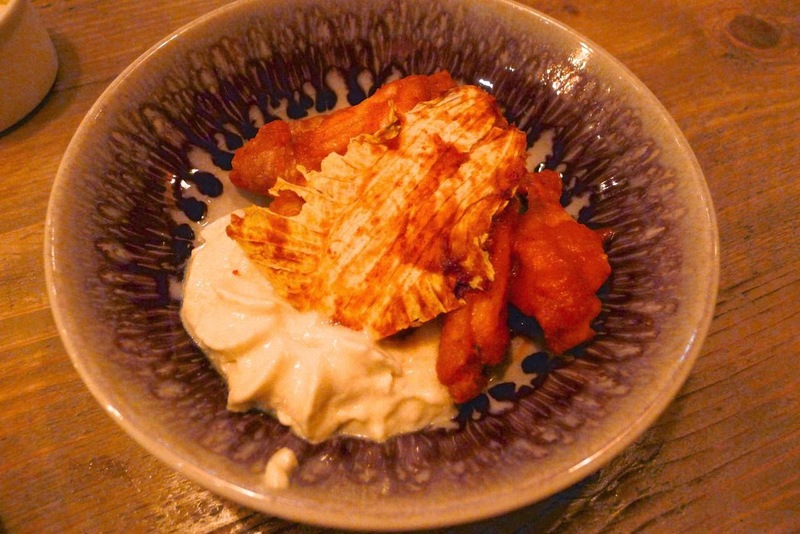 Chicken wings, kimchi, blue cheese – this was one of the more disappointing dishes for me. The blue cheese espuma was a good thing but the skins of the chicken wings were unpleasantly flaccid (chicken skin needs to be crispy in my opinion). On top of this, I didn’t ‘get’ the dried kimchi ‘wafer’. 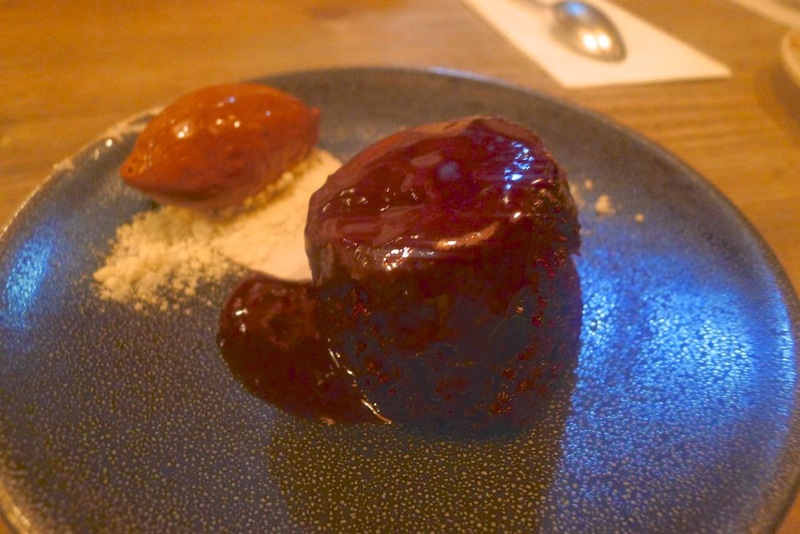 It tasted like a chilli soaked napkin... tough and fibrous. Ox tongue, pea, jowl – another of the hits. 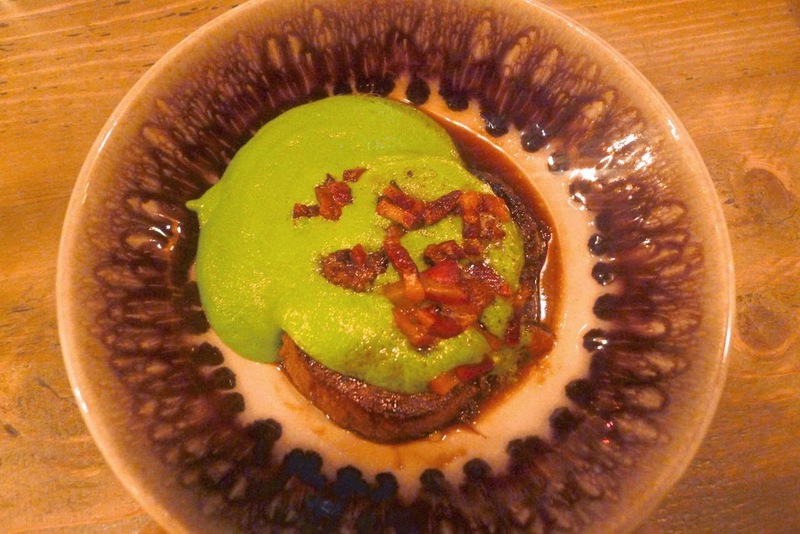 The ox tongue was meltingly tender yet manly; like an embracing hug from a mate when he’s just delivered some sad news; the pea espuma adding a fresh nod of support. 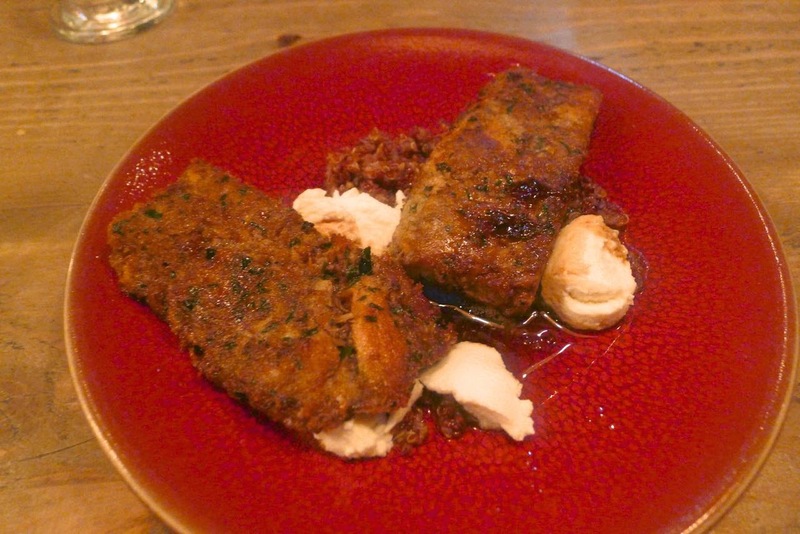 Smoked ox cheek, quinoa, ricotta – this dish was from the daily specials. On paper it sounded great but I didn’t think it particularly made for pleasant eating; I struggled to put my finger on exactly why. The smokiness was not ill judged and I felt the cheese worked well enough. Perhaps the snafu was caused by the quaggy texture of quinoa. Lobster, sea herbs, bisque – being picky I’d have liked the bisque to have delivered more punch but for £4 I’m not going to complain too vociferously. 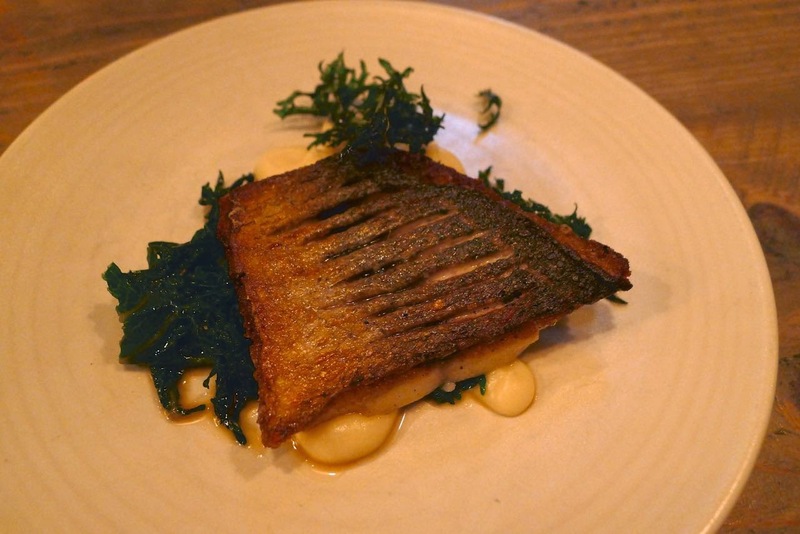 Bream, parsnip, seaweed kale – another good concept let down by poor delivery. For me, the bream left the pan far too late and the kale was tough. 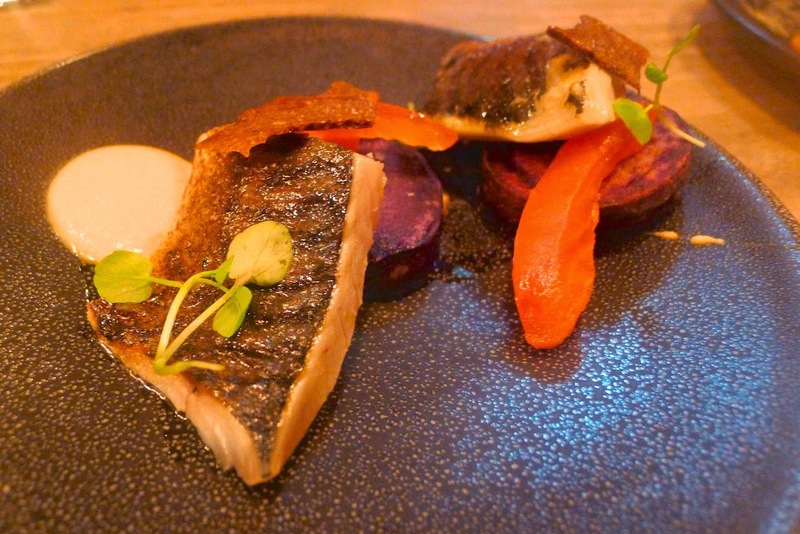 Mackerel, peanut, danube – the barely cooked fish was more pleasing to my palate but the accompaniments on this dish did not do it for me. I didn’t feel the peanut crisp complemented the fish and I found the purple danube potatoes to be unpleasantly chalky. 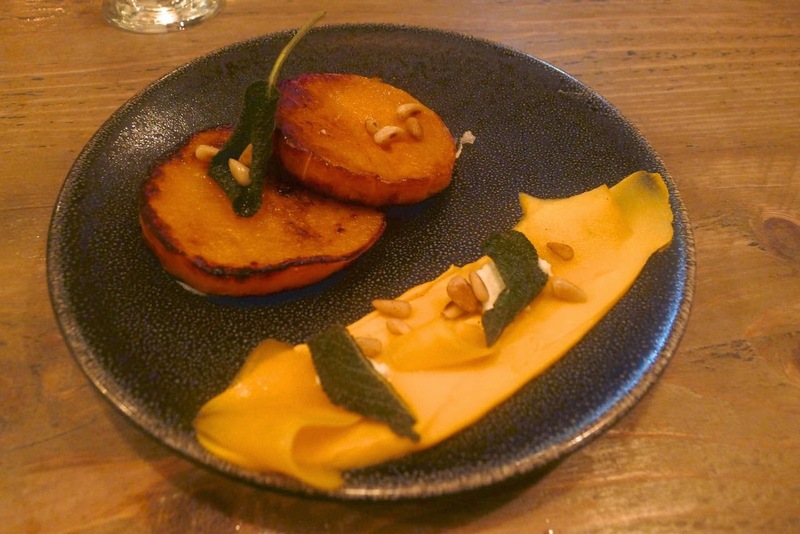 Butternut, curd, pine nut – although not part of the menu description, the crispy sage leaves and pickled mooli were the two elements which I enjoyed most on this dish. 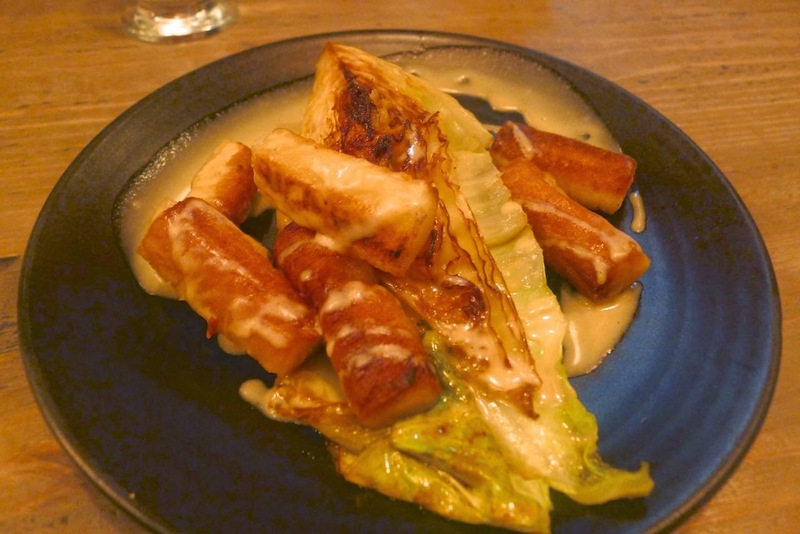 Potato knödel, cabbage, smoked butter – my stepdaughter's partner is German and she was excited when she saw knödel on the menu. I don’t think they quite delivered in reminding her of the the ‘Vaterland’; they certainly reminded me of the insides of bland and underseasoned orange school dinner style croquettes. 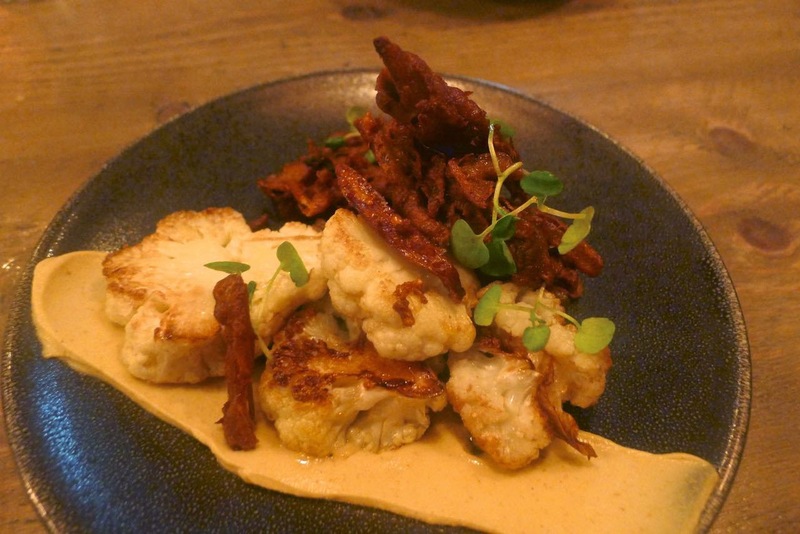 Cauliflower, shallot, caper, pistachio – taking the form of a bhaji the shallots were delicately spiced. This was one dish which we all enjoyed. 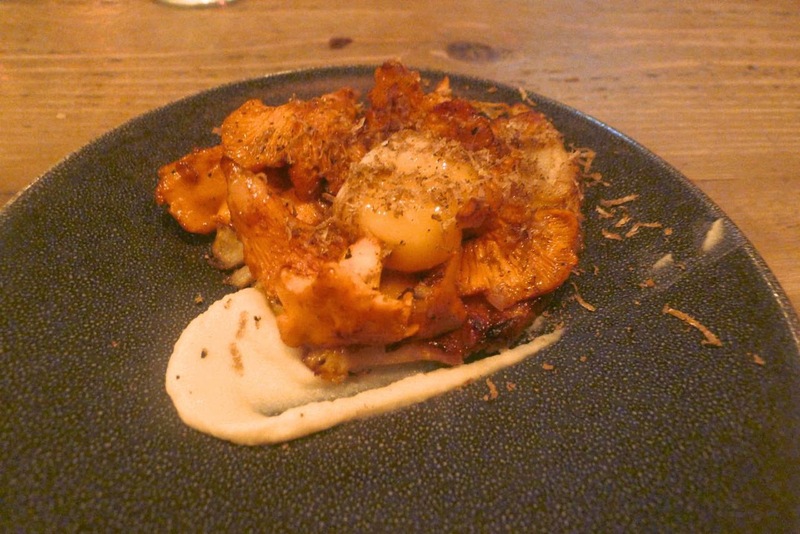 Mushroom, celeriac, egg, truffle – this was another of the stronger dishes. All ingredients I love; paired well and cooked simply and with respect. 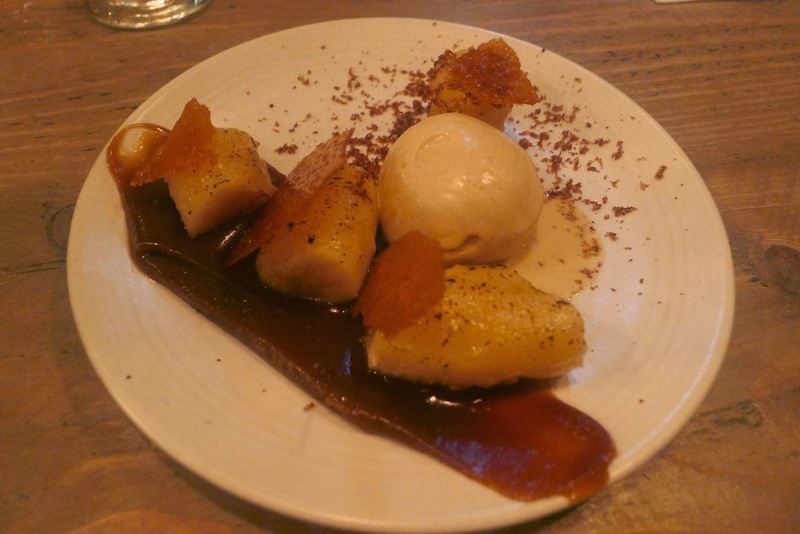 Banana, malt, miso – I’m not a fan of bananas so am not going to pass comment. My step daughter loved this and the Chocolate dessert. Despite my first experience of 64° not being overly positive, it’s definitely a place I’d want to try again next time we visit. From what I’ve read since, certainly everyone else seems to like the place… which must mean I’m wrong!